Calling all party animals. The third of a series of debaucherous Sundays will take place this weekend, when Tiki Disco takes over the Knockdown Center in Queens on 6/23. Featuring DJ sets by Eli Escobar, Andy Pry and Lloydski — plus food and drink from Roberta’s — expect wild, drunken insanity. 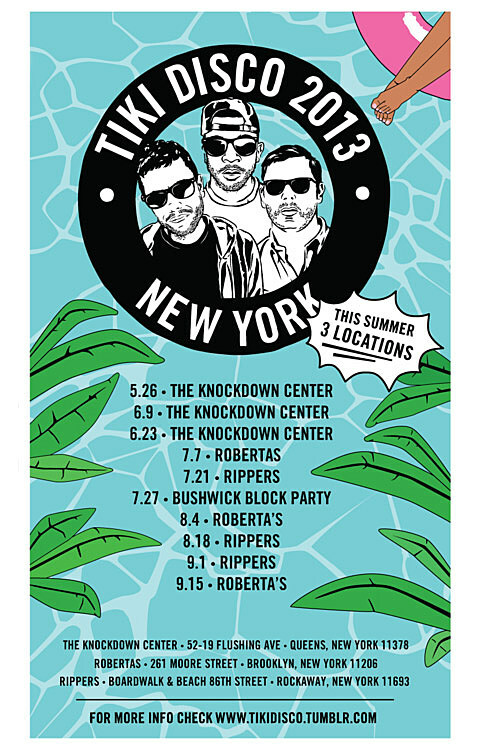 It’s the last Tiki Disco event in the Knockdown Center this season, though the parties continue at Roberta’s and Rippers in the Rockaways. The event is free and open to the public from 2 – 10PM.